DOUBLE VISION is an annual competition and exhibition that pairs professional image creators from across Canada by random draw and challenges them to create portraits of one another. Pairs will be judged by a panel of art industry professionals and prizes awarded to the winners of both juried and popular votes. All works submitted for this unique and creative challenge will be on display for the course of the exhibition. XPOSE is an annual fine art photography exhibition featuring works by some of Canada’s leading image creators. 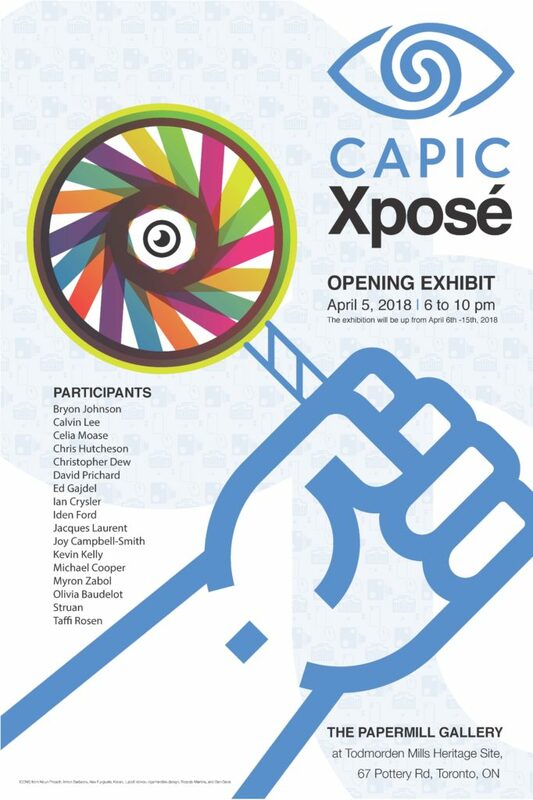 CAPIC is delighted to welcome back Bob Carnie (of Alternative Photo Services in Toronto), as the curator for Xposé 2018. Bob maintains an international reputation for printing traditional and digital fine art for photographers, galleries, and museums His passion for working with images, as well as his dedication to supporting the photographer’s vision through his printing, lends to his unique curatorial practice. RODEO is CAPIC’s annual competition for student photographers and illustrators. Hundreds of visual arts students from colleges and universities across Canada compete for an opportunity to display their work, national exposure, and top cash prizes. Winning entries will be on display, showcasing the next generation of emerging CAPIC talent. The Toronto Chapter of The Canadian Association of Professional Image Creators (CAPIC) is presenting a trio of annual exhibitions showcasing photographers, illustrators, and image creators from across Canada. 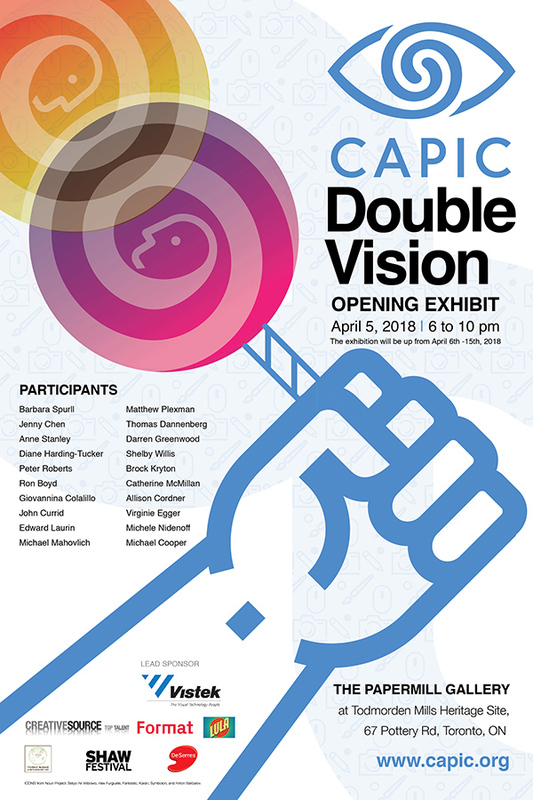 CAPIC EXHIBITION 2018 is on display April 5th to April 15th. Come join on Thursday, April 5th for the Opening Night Event!